Rabbit anti Human PAK2 antibody recognizes p21-activated kinase-2 (PAK2), a ubiquitously expressed, serine/threonine protease found at higher levels in skeletal muscle, ovary, thymus and spleen. p21-activated kinases (PAKs) bind activated Cdc42 and Rac via a Cdc42/Rac interactive binding (CRIB) domain. Group 1 PAK kinases (PAK1, 2 and 3) regulate the activity of an adjacent conserved autoinhibitory domain and are associated with cellular processes, including cytoskeleton rearrangement, apoptosis and MAP kinase signalling. Group 2 PAKs (PAK4, 5, and 6) lack the autoinhibitory domain and are not activated by Cdc42/Rac binding. PAK2 has a cytostatic effect on cells and is activated in response to cellular stresses such hyperosmolarity, serum starvation, contact inhibition and DNA damage from radiation and chemicals. Unlike other PAKs, PAK2 can be activated by proteolytic cleavage to generate a constitutively active fragment, PAK2p34, which induces a cell death response. This induction is thought to be regulated by Rho GTPase-activating protein 10 which inhibits the protein kinase activity of PAK2p34 and causes it to localise to the perinuclear region instead of the nucleus. PAK2 may also play a role in X-linked mental retardation. 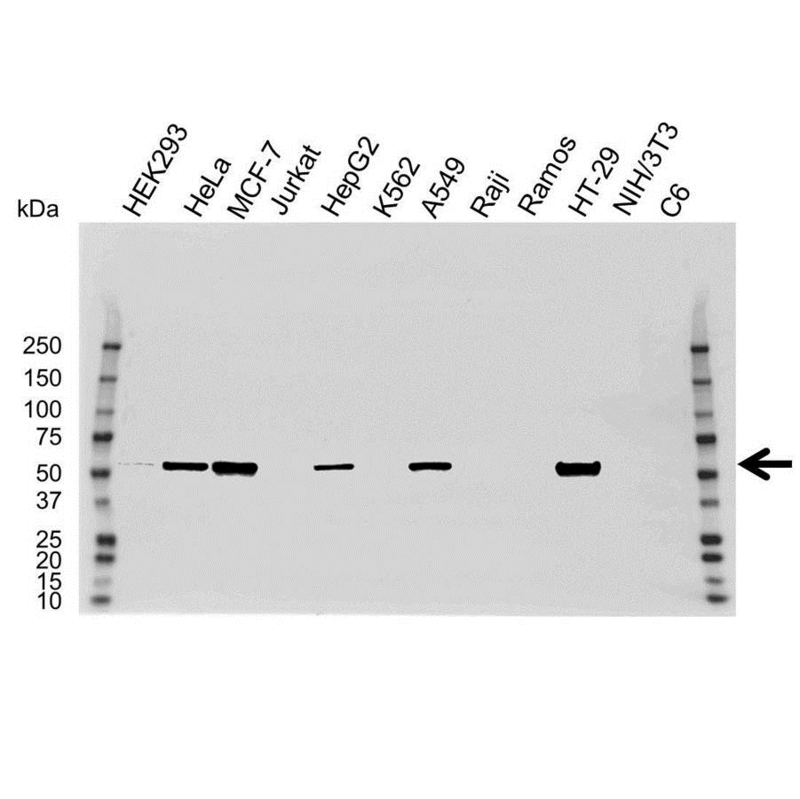 Rabbit anti Human PAK2 antibody detects p21-activated kinase-2 as a single a band of 58 kDa in a range of human cell line lysates. Rabbit anti PAK2 detects a band of approximately 58 kDa in MCF7 cell lysates. 14 amino acid peptide sequence near the carboxy terminus of human PAK2.